I’m going to tell you something, but you have to promise not to tell my friend Steve. He’s deathly allergic to nuts, you see, and becomes horribly offended when I feature them here. So don’t tell, okay? Okay. Cashews. I’m slightly obsessed with them. Shhh. I never ate cashews growing up, because I thought I was allergic to them; a handful of mixed nuts left me oddly itchy and puffed up like a balloon one Thanksgiving – needless to say, I spent the following years as far away as I could from any and all nut products. However, the guilty nut turned out to be none other than the evil Brazil nut, so while I continue to shun those oddly-shaped nuggets of anaphylaxis, cashews have gained a seat at the table. In a big way. I throw cashews into salads, soups, even bowls of cereal. And I find few greater pleasures than eating roasted, salted handfuls straight from the freezer, which is where I store them (for freshness purposes). 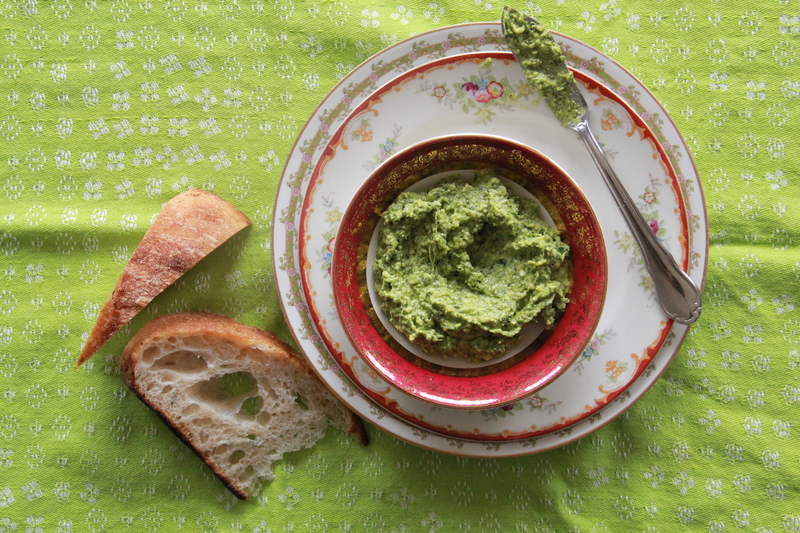 I use cashews to make pesto. With some tarragon, parsley, lemon and garlic. I spread it on toast, eat it with pasta, smear it on roasted chicken. I suggest you do, too! Unless you are my friend Steve, in which case, do not eat this. But do. But don’t. You know. Sorry, Steve. Toast cashews in a dry pan over medium heat until lightly brown and fragrant. Allow to cool slightly. 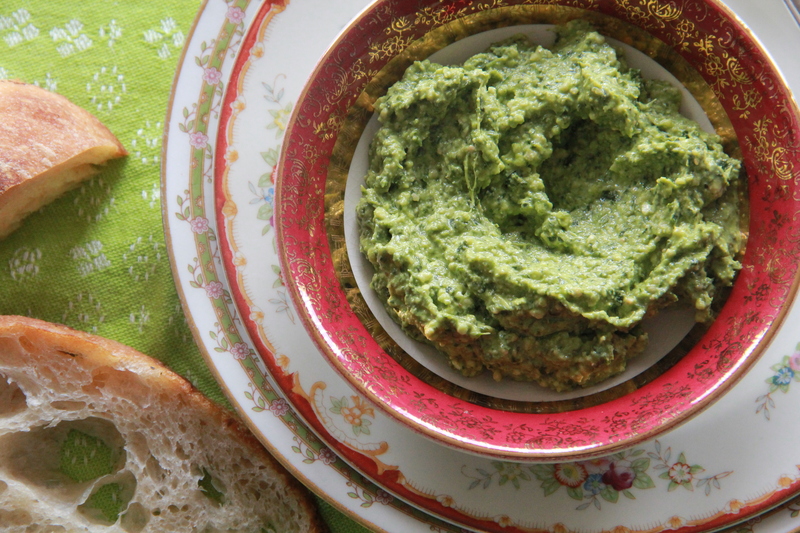 Purée the first six ingredients in a food processor (from parsley through garlic). Add the olive oil, red wine vinegar, and a bit of salt and pepper, and blend until a coarse paste forms. Add a few tablespoons of warm water to thin the sauce to desired consistency, and adjust seasoning to taste. Use as a sandwich spread, atop a bowl of hot pasta, or alongside roasted chicken. Makes about 3 cups pesto. LOVE STEVE (obviously) and LOVE cashews…..
will make this when he’s not coming to greenwich! I’ve had a bunch of tarragon in my fridge for awhile now, wondering what else I could do with it. 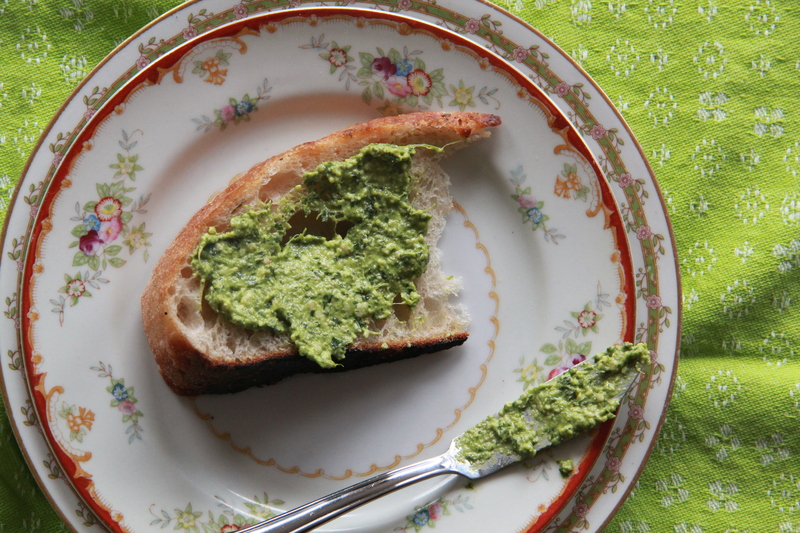 I’ve put it in egg salad, chicken salad, rice salad, pastas, marinades; and never once did I think pesto. Thank you! And I love the idea of using cashews as well. Made this today. I might have gone over board on the tarragon – just threw the small package in. Who has time to chop and measure? Lemon and vinegar give it a nice bright flavor but my taste buds are asking for more depth – dried cranberries, figs, dates? It was great on seed bread. Also, try a tablespoon of this in leftover, warmed-up rice. Yum!